No drugs, no counting sheep, no hot milk . . . no kidding. More than half the people in the United States suffer from insomnia. Author Ray Comfort used to be one of them; a "self-made insomniac" is how he describes himself. He tried everything: counting sheep, drinking warm milk, counting backward, searching the internet for boring preachers, reading a dull computer manual in bed, exercising before bedtime, and many other things, but it was all to no avail until he discovered some practical ways to send his brain into dreamland without drugs, sheep, numbers, or warm milk! The author says, "I want you to be able to get a regular good night's sleep . . .", and his easy-to-read, uniquely written book will help you to do so. 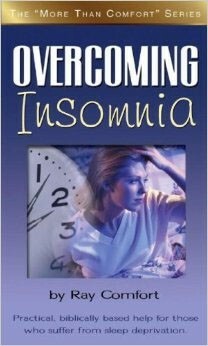 This book will “put you to sleep” and help you overcome the physical and spiritual forms of insomnia that prevent you from living life to the fullest. "I own and operate a sleep disorder lab and have been a longtime supporter of your ministry. 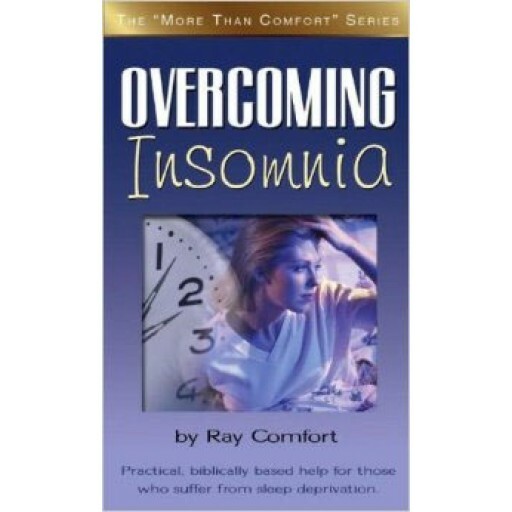 Recently you offered Overcoming Insomnia as a weekend special for $1 per book. I was skeptical that you would be able to deliver a book that would be medically informative to sleep disorder patients. I only ordered 50 (I wish I had ordered 200 more), I have never read a better book for patients that covers the basics of sleep disorders. Since we are an independent sleep lab I am able to give every patient one of your books. Thank you for doing such excellent work."